As I left the luxury lab ship one jump away, after the Travellers deal with the events of Q'antar, they will need transportation. As we have a lot of characters, Travis' Scout ship the Katydid would not suffice for that jump. I'll go with it would overload the life support system (there are about 6 players and at least 1 NPC to make the trip. Plus Travis, so 8 people on a 4 person ship would be both crowded and strain the life support). Looking through my existing resources, I have several ships that could take them, but none that would have any real reason to be at the back-end of nowhere planet. No reason for a passenger liner to be dropping by a planet with a dozen people living on it. Not much in the way of a bulk hauler, and the ones I have don't have much in the way of accommodation. Checking out a couple of the ships I used previously as Scout ships, none would support that number of people. I dug back a bit more - I do have more than just those 0-Hr maps and minis. And I do like Classic Traveller. And then I remembered I bought the Moon Toad Publishing book, the A2L Trader. Basically larger versions of the Marava class trader. That book, and others I have bought from them, are most excellent as well. 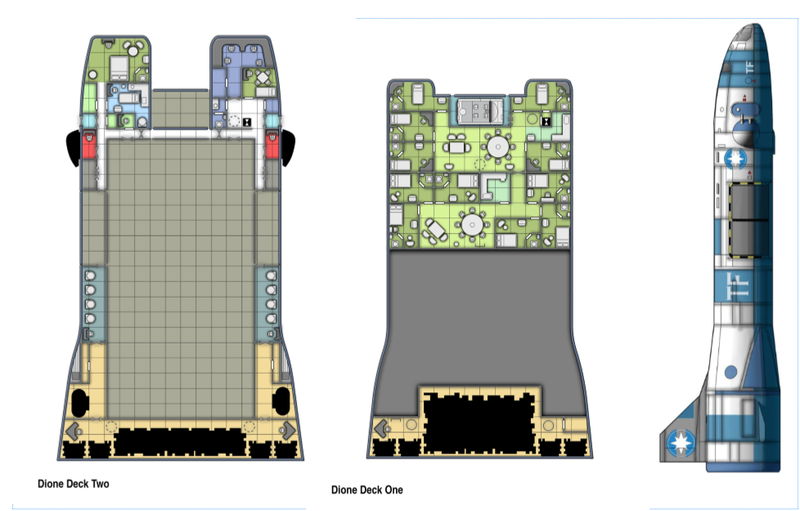 Well laid out, sharp, usable deck plans (unlike the horrible isometric Mongoose plans which you just can't use and basically are a waste of paper. At least in my opinion). So the Dione Class A2Lm Far Trader is perfect: a 300 ton trader with jump 2 and space for 6-12 passengers. 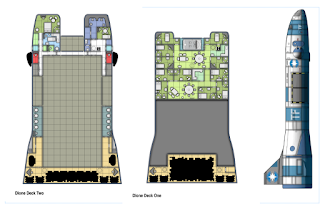 And, I am working in Antares Ship Builders and Trade Speculators: this ship will be one of the dozens of ship owners who work with ASB&TS for the brokerage system. Bringing in more of my background to fit into this sandbox. Plus I have a mini of a Marava class ship that also fits on the printed starport map. Yay for visuals! So without further ado, below is a small screen shot of the handout. Printed on tablet sized paper it almost fits 15mm minis. The back contains the ship stats. I'll also borrow all the characters in the book for the ship crew. As it has a Vargr engineer and there are 2 players with Vargr characters, that could be fun.